Quest Forge for NES out now! 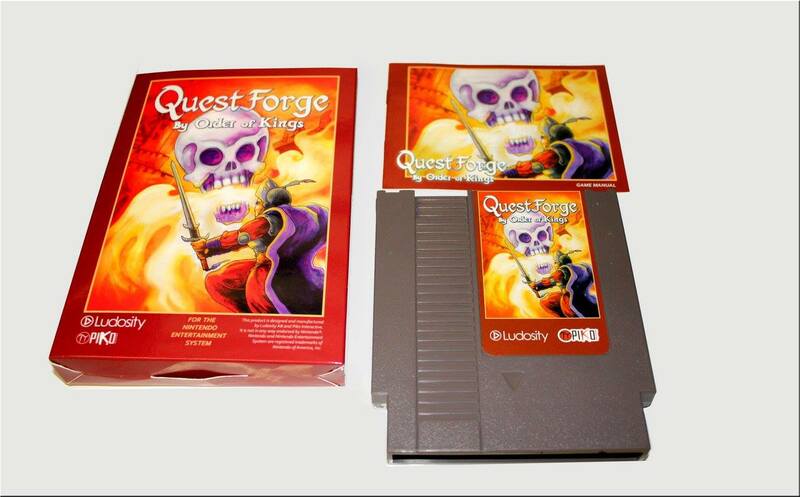 This is pretty amazing – we made an NES game! And it’s actually on sale! Boxed cartridges! 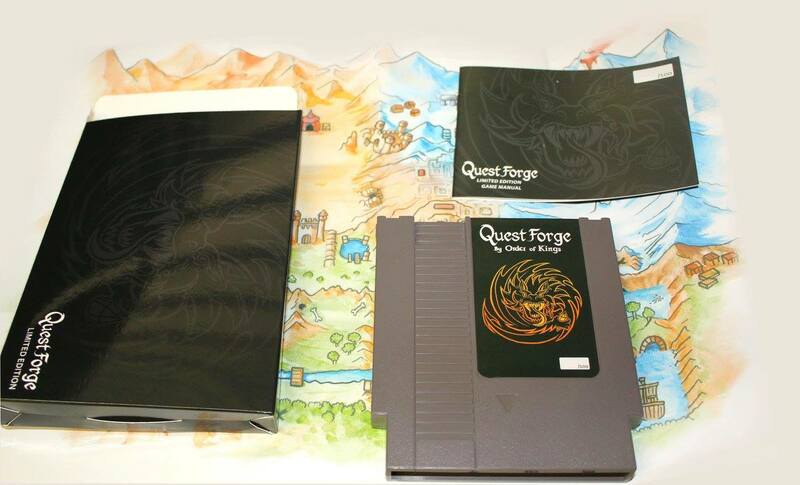 Quest Forge by Order of Kings is an Action Adventure RPG where you play as Sir Nils, knight of the castle Axvald – and the king needs your help. The world orb has been stolen and the demon gate can now be opened. By the orders of the king, you have to stop whoever is plotting to unleash evil on these lands. -Explore the world, from the bottom of the sea to the top of the mountains. -Defeat enemies with a combat system that combines timing and statistics based rpg combat. -Search for the eight magical artifacts that will enhance Nils’ abilities. Quest Forge was largely developed by Mattias Hakulinen (@dothaku) with graphics by Nils Härgestam (@ProfessorSteamg). It is published by Piko Interactive and is sold on their online store, with selected retail distribution to come! There are two editions, standard and a numbered limited edition. They both look pretty badass, but my favorite is the limited in black.